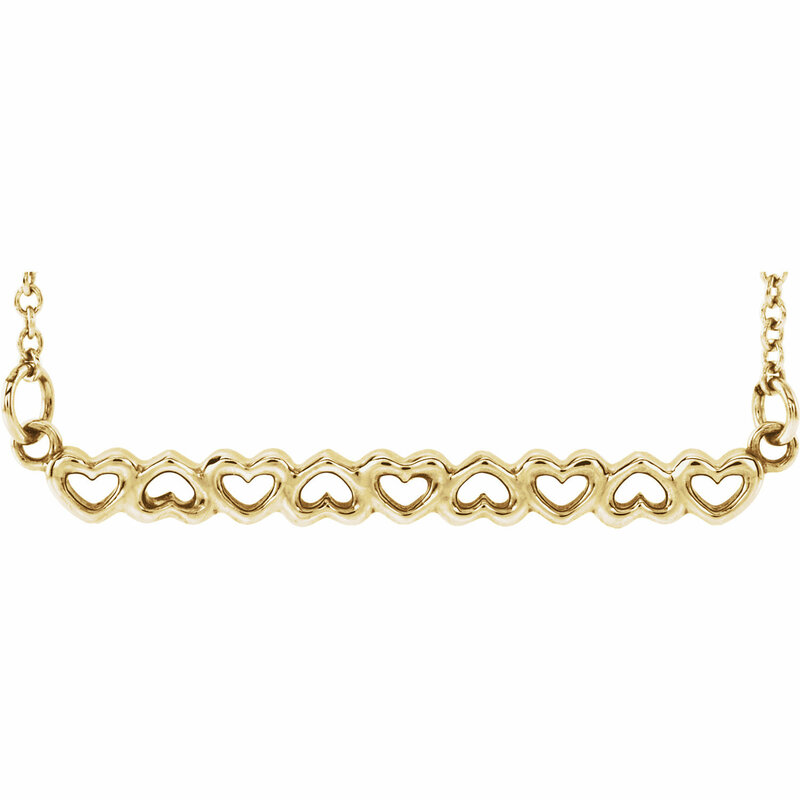 Heart Bar Necklace in 14K Yellow, White or Rose Gold Description This pretty hearts bar necklace is crafted from polished 14K Yellow, White or Rose Gold. 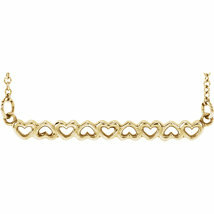 Necklace features nine hearts designed on a bar necklace. Heart pendant hang from a 1mm, 18" long cable chain with spring ring closure. 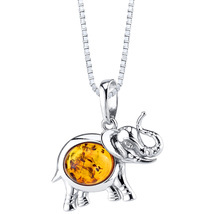 Item Specifications: Metal: 14K Yellow, White or Rose Gold Chain: 1mm 18" Long Yellow, White or Rose Gold; Spring Ring Clasp Pendant Length: 28.3mm Pendant Width 3.7mm Gold Weight: 1.97 Grams Have a Nice Day!